The London Stock Exchange (LSE)’s decision to abandon its maker-taker pricing structure from September – exactly a year after it was first introduced – has won praise from some brokers, but has left others scratching their heads about the apparent u-turn. Having followed the lead of its newest rivals, the pan-European multilateral trading facilities (MTFs), in paying rebates for passive executions and charging fees for aggressive trades, the LSE will charge an identical fee for both liquidity seekers and providers from 1 September. The fee is variable dependent on value traded by individual market participants on the exchange per month, and ranges from 0.45 basis points for the first £2.5 billion traded to 0.20 bps for all value traded above £10 billion. “The rest of the market doesn’t seem to be going that way. It does seem to me to be a backward step,” Jack Vensel, head of Citi’s EMEA electronic execution division told theTRADEnews.com. Vensel argues that in ditching maker-taker, the LSE is throwing away a powerful means of attracting liquidity. 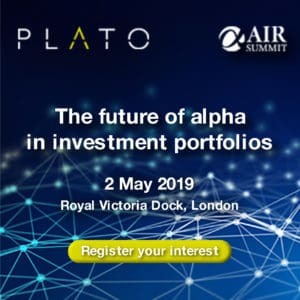 “One of the potential issues with a straight fee model with a charge on both sides is that you lose the ability to influence the behaviour of clients, for example by offering inverted pricing to encourage more liquidity taking,” he said. The lack of a maker rebate could also deter some types of order flow. “While it is difficult to predict, I expect it will be a little more difficult for the LSE to attract high-frequency traders to post liquidity on its order book without maker-taker pricing,” said Vensel. Some have suggested that the LSE fee change was in part prompted by concerns from clients that are net takers of liquidity, who felt they were effectively subsidising the trading models of the high-frequency liquidity providers collecting the maker rebates. The LSE itself argues that charging liquidity providers and takers an identical fee supports a wide range of trading styles and incentivises supply and demand equally. It also asserts that high-frequency and stat-arb players should benefit from the increased execution certainty that will come from the increased liquidity it expects the new tariff to generate. Vensel acknowledged the benefits of the cheaper pricing that will be offered by the exchange from September. The LSE estimates that had the new tariff applied to trading activity between January and March 2009, members would have received an additional £3 million in benefits. “The drop in the minimum trade price to £0.10 from £0.25 is a positive for anybody trading with algorithms,” he said. Others have welcomed the new tariff. “It is a very positive move. The LSE’s new tariff levels the playing field for all players,” said Robert Barnes, managing director of equities at UBS. 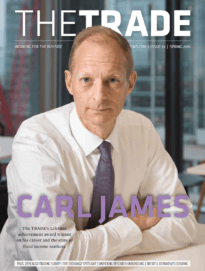 While the LSE’s pricing change could be seen as a move towards creating a two-tiered structure, where the exchange’s main UK order book serves more traditional traders and its Baikal non-displayed MTF caters for high-frequency players, Barnes asserted that the tariff would be attractive to those high-frequency firms that are net takers of liquidity.